Unexpected first find of the season! We were out doing errands and stopped at a sale on a main road. Right out on a table was a crate with the Dreamcast sitting right on top. We hadn't expected to find anything, and we weren't even prepared monetarily! We were only carrying a $10 bill, so we knew our bargaining power was very low. For the hell of it, we asked the guy running the sale how much he wanted for everything. To our surprise, he said "eh, how about 5 bucks". We gave him the $10, got our change, and were on our way! 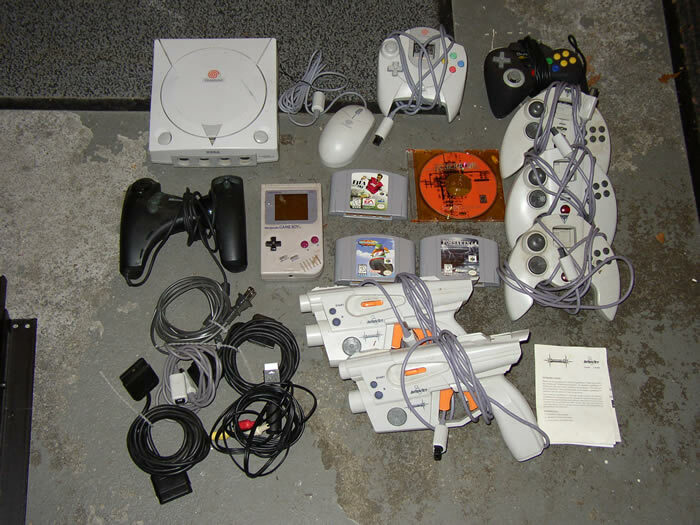 Most of it is 3rd party, but it was worth it for another Dreamcast and the mouse, which we didn't have. Here's hoping the weather warms up soon! Sales are already starting to pop up, so hopefully we'll be 'saling this Saturday. It's been a long winter...we're ready to get back out there!